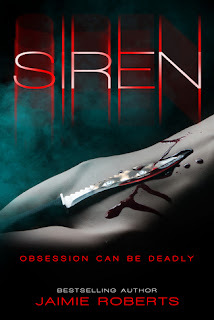 I don’t know whether it is because I have read some really sick books in my time but this was not as dark as I expected (shock, horror), however what Jaimie Roberts did deliver was one page turning read that I couldn’t put down and no matter the heroine’s actions I was rooting for her from the start. Most will probably hate her, but I loved her for so many different reasons. There is nothing like a good “revenge” book and Scarlet was one conniving cow and I loved it. Scarlet, Scarlet, Scarlet…where do I start with this woman. She was AWESOME! Scarlet came across as one of those legendary actresses on the silver screen, she was a femme fatale in every sense of the word. She was a siren, she called to men and they couldn’t resist her charms, she was a snake charmer and the men in her life were definitely the snakes. Scarlet was drop dead gorgeous and she knew it, she used it and she most definitely abused it. Her body made her a lot of money…illegally of course, but the men she preyed on were cut from a similar cloth and quite frankly got what they deserved. Scarlet was abused as a child by her father, both physically and mentally and this was the beginning of her demise really, the demise being the sweet and innocent Scarlet. Her childhood had been stunted and stilted by a man who took his own revenge out on someone he should have protected, he abused his position of power, trust and love and made her life a living misery. After years and years of abuse her father had left his mark, these two were inextricably linked, kind of like Stockholm Syndrome where even though she didn’t want to react to his presence years later, her body defied her. It was like her father and reprogrammed her, she was his Frankenstein. Most people will hate Scarlet in the beginning, but as soon as I realised this was a “revenge” book I began to make excuses for her actions because I knew that when all was revealed it would be explained. As Jaimie Roberts leaks out Scarlet’s past in little flashbacks the conundrum that is Scarlet is finally solved. She was evil, she had no scruples, no morals but her father made her this way, he created the monster but would he be able to take the repercussions? Jaimie Roberts delivers an edge of your seat story where you cannot help but become invested in the car crash that is unfolding in front of you. You know you should hate her, you know you should despise what she does but in the end I saw the frightened, desperate child that just wanted her life back, a sense of normalcy, she wanted her freedom…mentally.